Hi there beautiful friends! 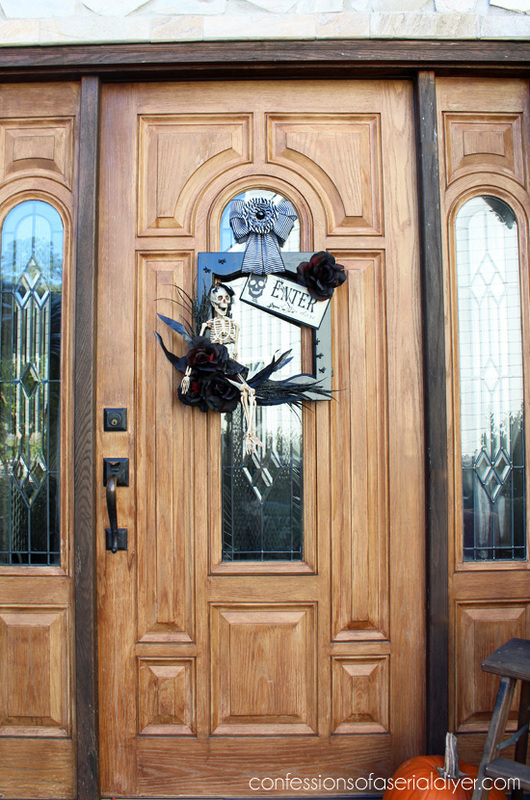 Today I’m sharing my new Halloween Wreath that I made using a salvaged cabinet door. But first you may notice my text is pink! In hopes of promoting breast cancer awareness, today I’m joining Holly Bertone’s campaign to Paint the Blogosphere Pink! As a nurse, I have seen so many lives affected by breast cancer. Early detection is key, ladies!! Something that only takes a minute in the shower each month could save your life! My Father-in-law was so sweet and saved an old cabinet door that had cool lines to it, thinking I could use it for something. Isn’t she lovely? Cue the music…Isn’t she won-der-ful… now I’m dating myself. I made her a she because…why not? Glittery skirt, pearls and a fashionable fascinator…very ladylike indeed. You can pretty much see exactly what I used. The only things missing are a pair of scissors and some floral wire. The supplies I purchased came from Michaels. 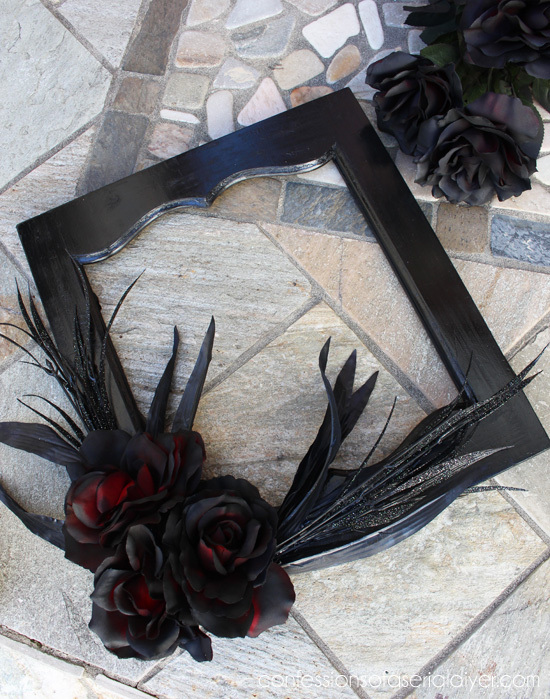 I spray painted the red roses black as well, and cut the heads off to add to the frame, using hot glue. 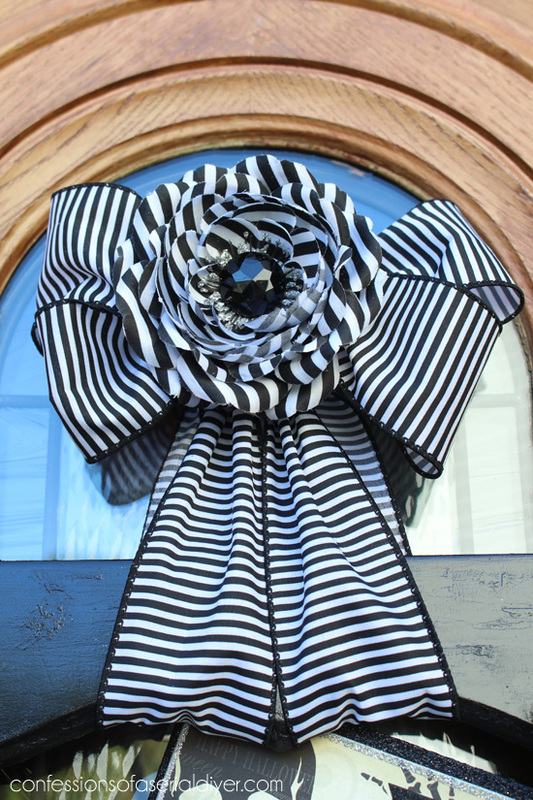 And made a pretty bow from the striped fabric, and the striped hair clip which was $1.99 at Michaels and adds a little bling. 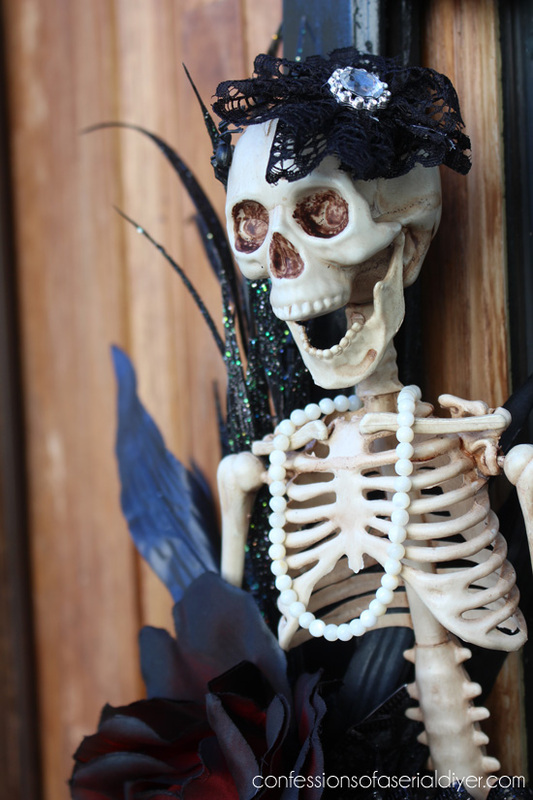 It’s probably the reason I was inspired to make my skeleton a lady skeleton. This was super simple to put together and the result is pretty fun, not my normal spooky! The fun starts this Sunday, October 5th at 7:00pm EST. 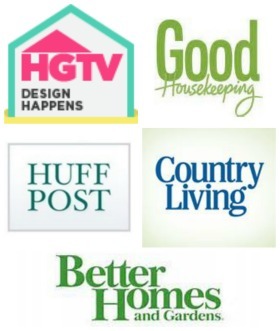 Come link up any project that has you Falling for Fall or just come by to get inspired! Love it. 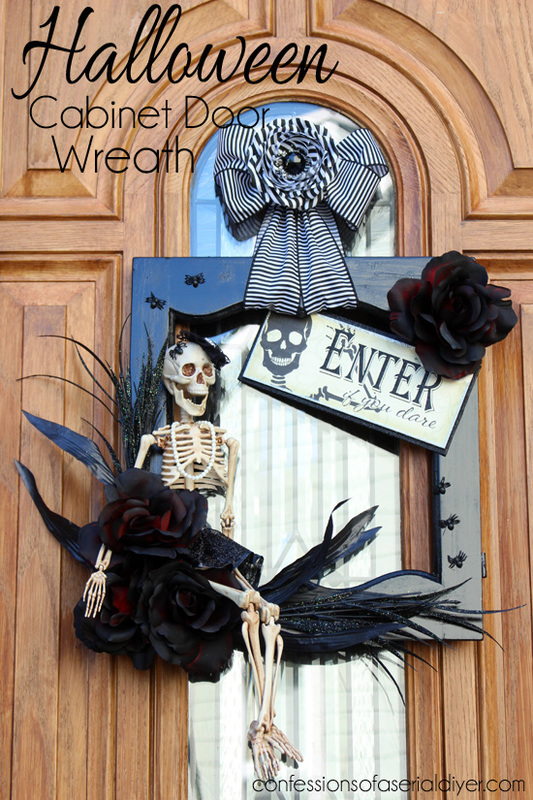 I am not a huge “wreath” person so I love this different take on it. I make a fall “picture” and hung that on our front door. It is so much fun to think outside of the box. Love the skeleton. 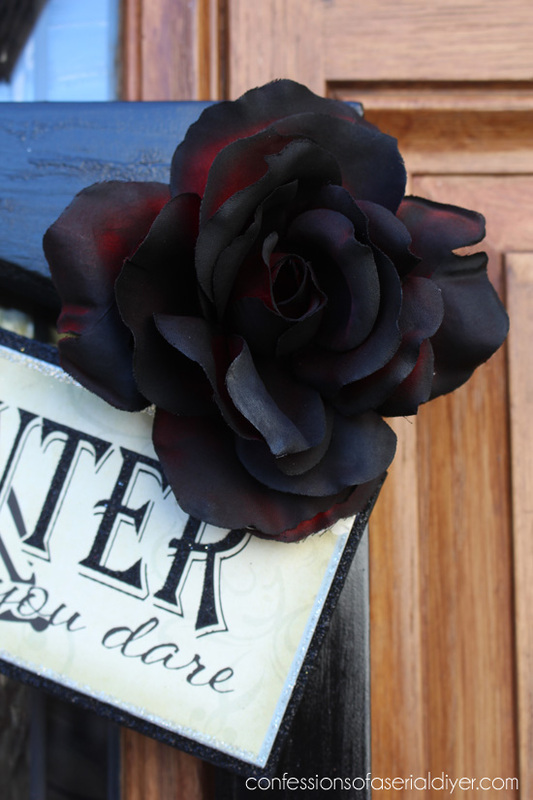 Love what you had done by turning your cabinet door into a wreath. Very creative. The striped bow really sets it off nicely. Great job. 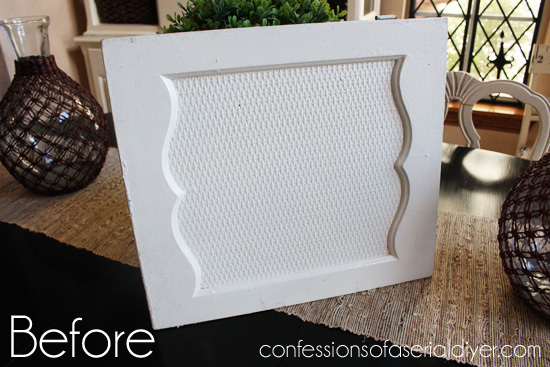 Hopefully you had glued on some cork pieces to the back so that it doesn’t scratch up your beautiful front door. You come up with the most clever ideas! 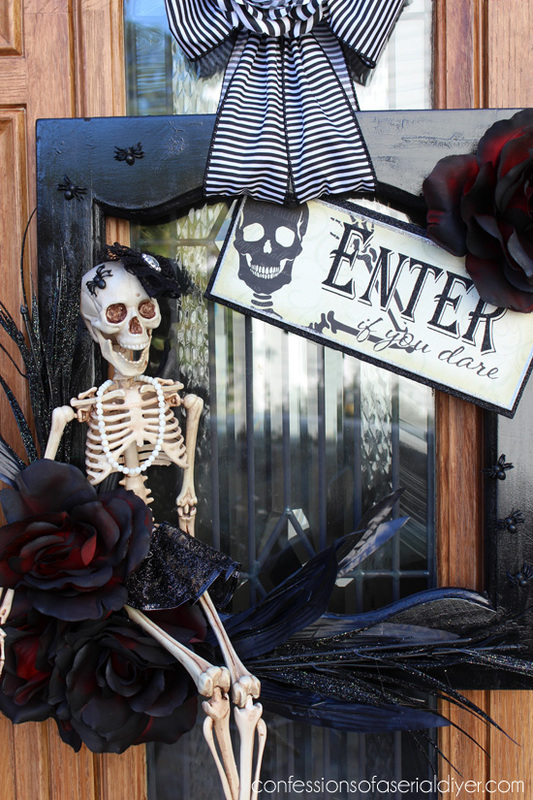 Love Lady Skeleton! Christy … Oh. My. Goodness!! You really are a kid at Halloween!! How creepy your house looks! How fun for you and your entire neighborhood! Your wreath is adorable!! You are the cleverest gal!! Love everything you do! I read on your other post that your skeleton was stolen one year. That’s awful! So glad you found one right away!! I need to find one of those! Love your new butler! 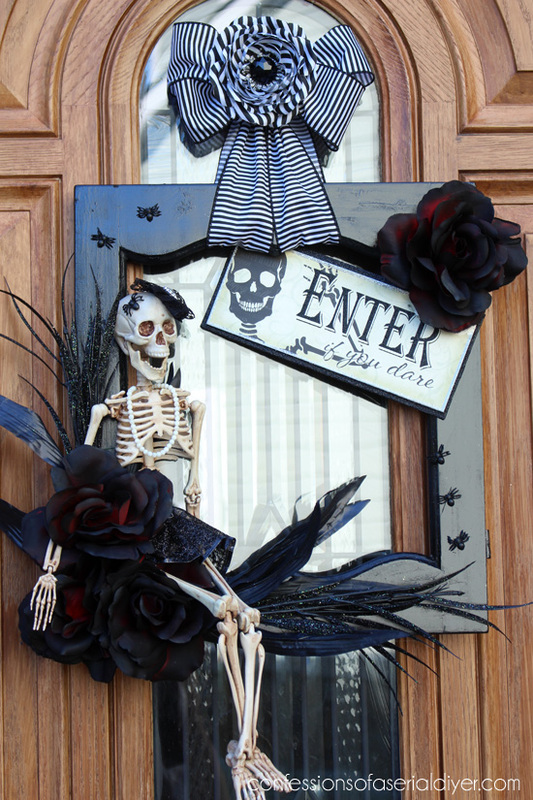 Okay, now this is the best Halloween wreath I’ve seen yet! 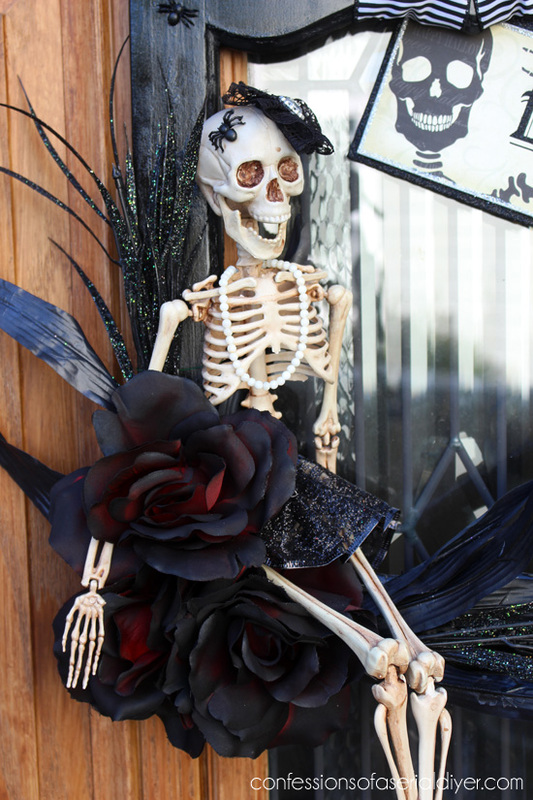 Love Lady McBones sitting amongst the roses in all of her glory. 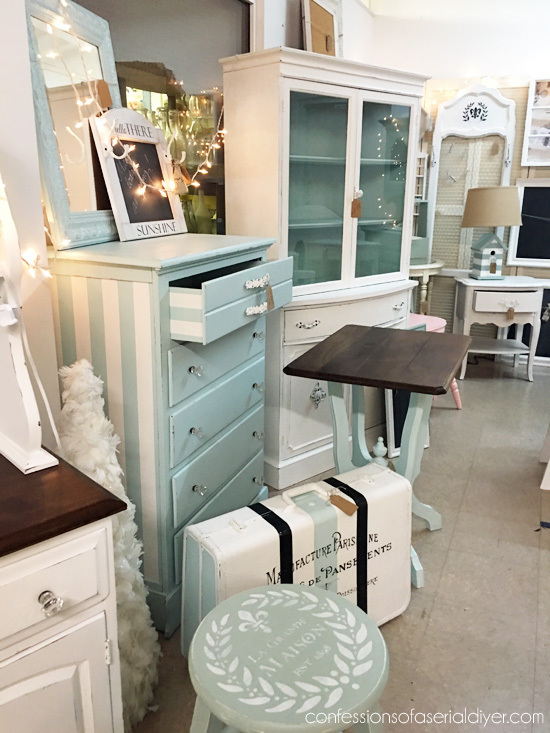 You never cease to amaze me with your creativity Christy – you’re a Craft’n/Furniture Reimaginer Rock Star! 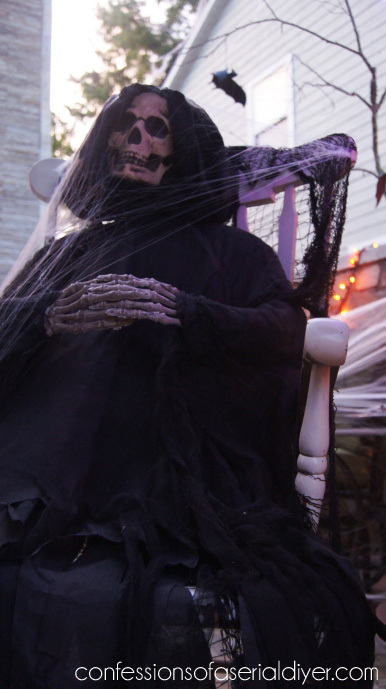 I remember your incredible Halloween display from last year. Looking forward to seeing what you add to it this year. This is so stinkin cute Christy! 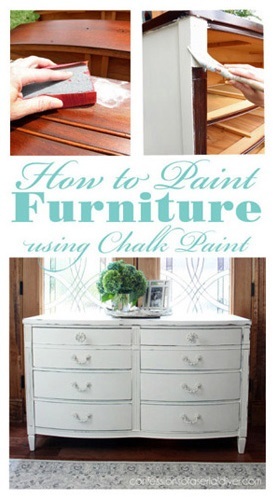 Such a clever idea! 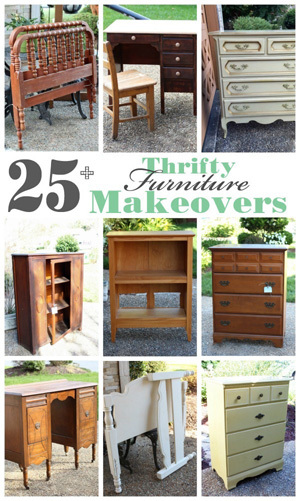 Oh man…I’m bustin’ up some cabinet doors STAT!!!!! Just don’t get me in trouble with Philly for leading you down this path. So crafty and cute! 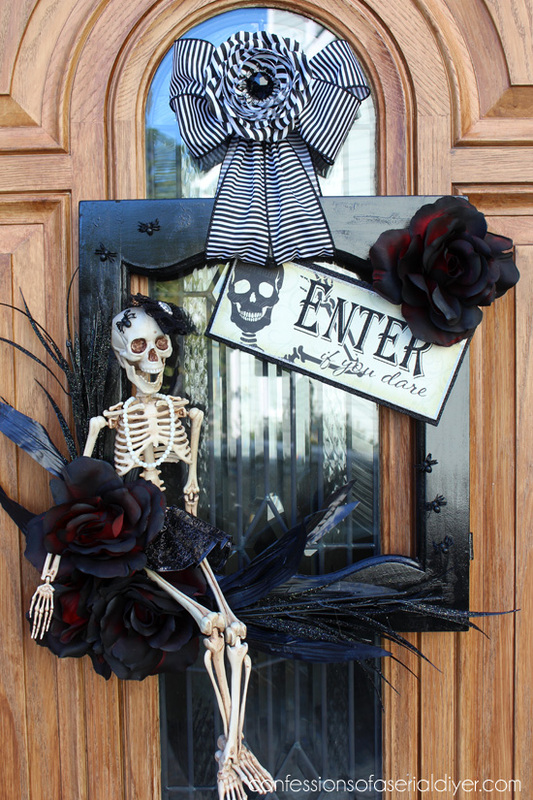 I love the skeleton and the black roses! Thank you very much, Christy 🙂 Reading your post I got so inspired for this Halloween I can’t wait to go buy some of these things tomorrow! Thanks, Michelle and thanks for joining the party!! I love this! 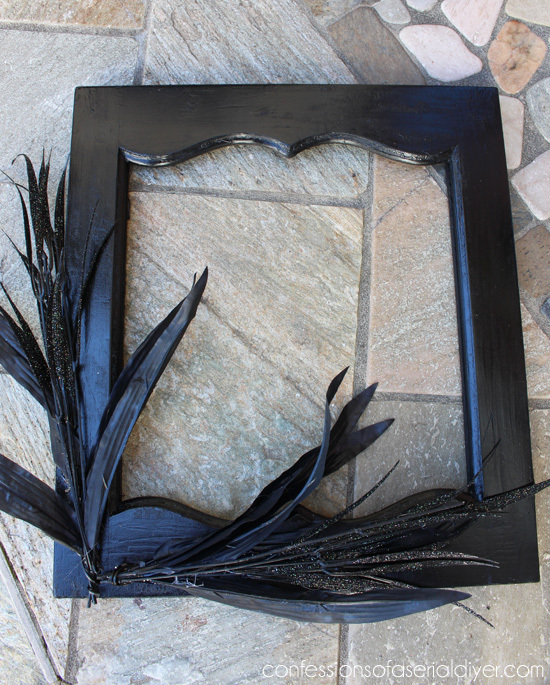 Will you tell us what you use to hang your wreaths on the glass part of your door? Hey Christy, just wanted to let you know I’ll be featuring Lady McBones at the DIY Sunday Showcase Party this weekend. 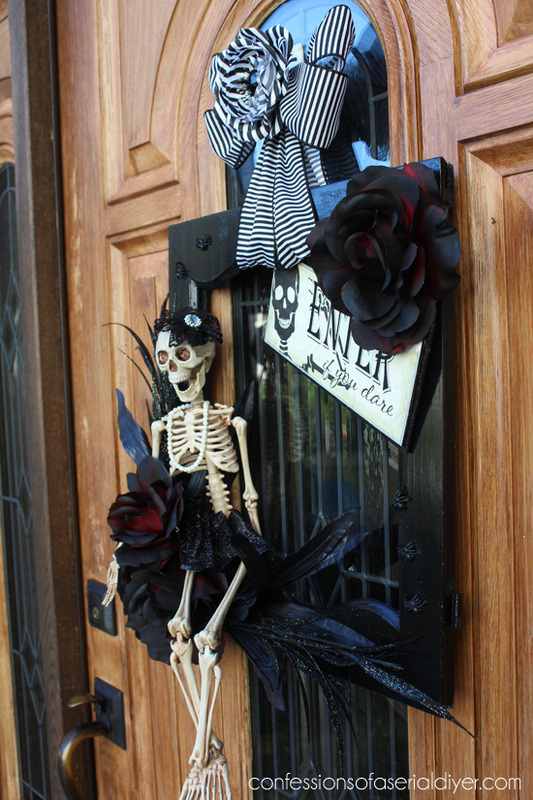 Love your Lady McBones and this cute wreath!! I just adore this!!! 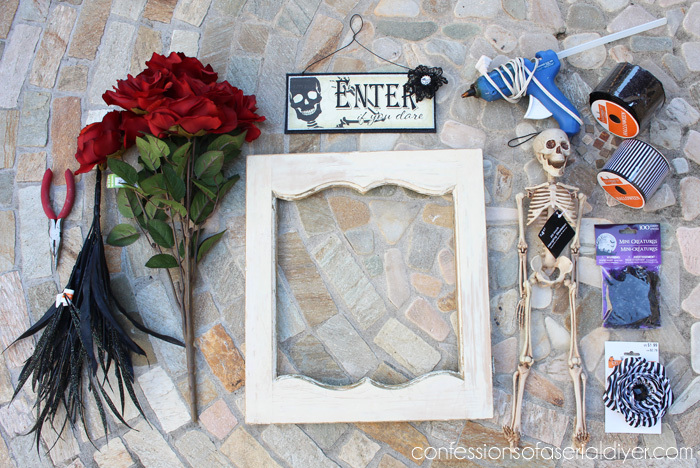 My favorite part if it is that you put a pearl necklace on the skeleton 🙂 And such a great repurposing idea with the cabinet door! Great job! 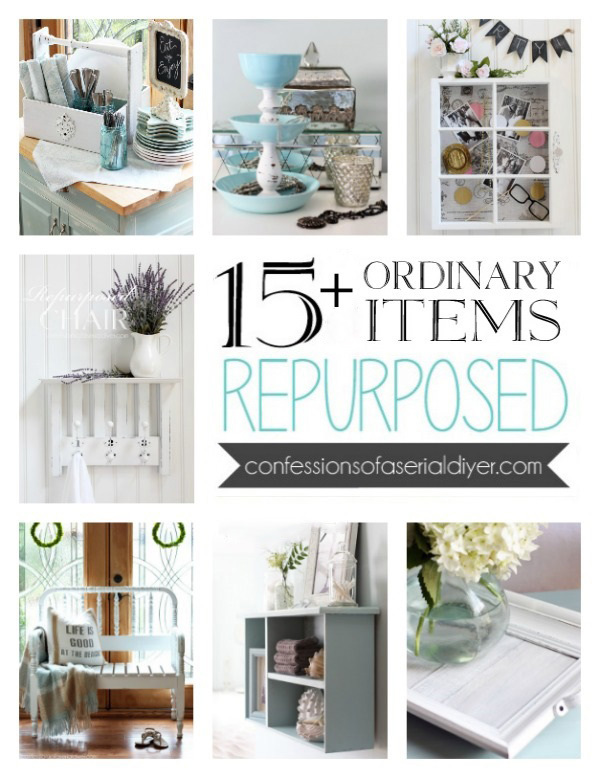 What a great way to revamp cabinet door!